Burnishing is one of the oldest forms of decoration and of creating a surface that is waterproof and lustrous without using glaze. The process is both time consuming and laborious but the finished surface has a unique quality and a feel that gives it a character all of it's own. The pot is made and allowed to dry to a leather hard stage then the outer surface is polished with a smooth hard object. Oil, water and endless elbow grease are used to help the smoothing and sealing process. Once the work is fired it can be left without any additional colouring or it can be smoked to introduce carbon or fumed with natural chemical additives in an outside garden pit. The results are unpredictable and unrepeatable, creating unique works that owe their designed to the flames of the fire pit rather than the potter.... perhaps that is part of the fascination of the process. Raku is another 'alternative' form of firing. 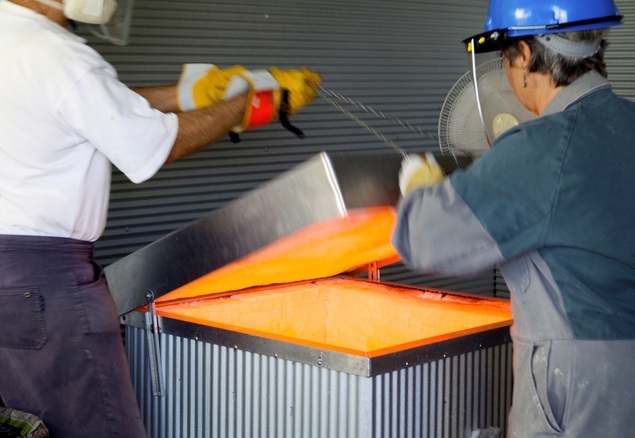 Raku work is rapidly fired until the special low temperature glaze melts and the work is red hot then it is pulled from the kiln and plunged into a bin of combustible material in order to reduce the oxygen available to the glaze. The range of lustrous finishes this creates is spectacular and unpredictable. Even after the work is cooled the colours can continue to shift as the glaze re-oxidises in the air.